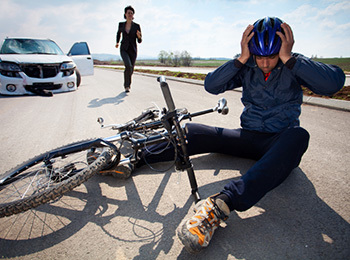 Pedestrians are completely vulnerable and therefore suffer a vastly disproportionate amount of severe injuries and wrongful death when an accident involving a motor vehicle occurs. Approximately 4,280 pedestrians were killed (13% of all traffic fatalities), and 70,000 pedestrians suffered injuries, in U.S. traffic accidents in 2010, according to the National Highway Traffic Safety Administration. Pedestrian accidents raise unique issues, and may involve pedestrians or joggers who are struck in a crosswalk, sideswiped by a motor vehicle, struck while in a parking lot, struck while exiting a bus or car, or otherwise injured or killed by a driver who is at fault. All too often, drivers are inattentive to the presence of pedestrians and don’t sufficiently look in the direction their car is traveling. The Law Office of Wayne B. Fosse has a distinguished reputation for obtaining for its clients the compensation and accountability they rightfully deserve. An injured pedestrian can recover all of the same types of damages that someone injured in a car accident or bicycle accident would be entitled to recover, including past and future medical expenses, lost earnings and earning potential, pain and suffering, loss of enjoyment of life, emotional distress, loss of parental or spousal financial support, loss of spousal relations, property damage, incidental expenses, and other types of physical, economic, and sometimes even punitive damages that result from the accident. We work extremely hard to maximize your damage recovery, and endeavor to relieve you of as much burden and hassle as possible so you may put all of your energy towards healing. Contact the Law Office of Wayne B. Fosse today for dedicated and proven legal representation.